Foxes are everywhere, so just to keep up with everyone I had to go and get one! Camio was a commission by MoonFox, a good foxy friend from over the water in Germany. I loved Moonfox's original fox fursuit, so on this one I gave him pretty much free reign on design, colours and name! The result was Camio. 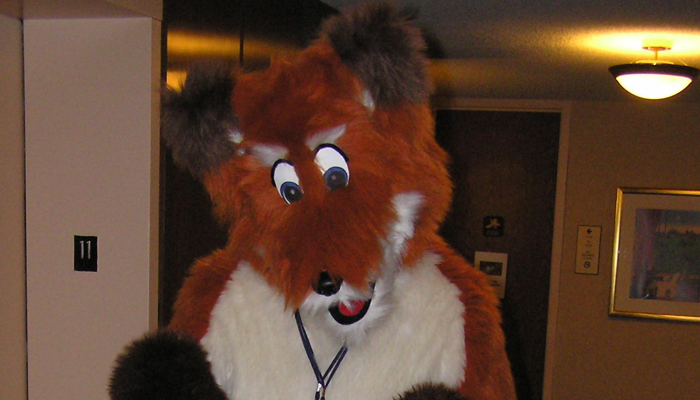 He managed to make it to his first convention which was Anthrocon 2004 where he spend some time wandering about. He also visited Eurofurence in Germany in August 2004.